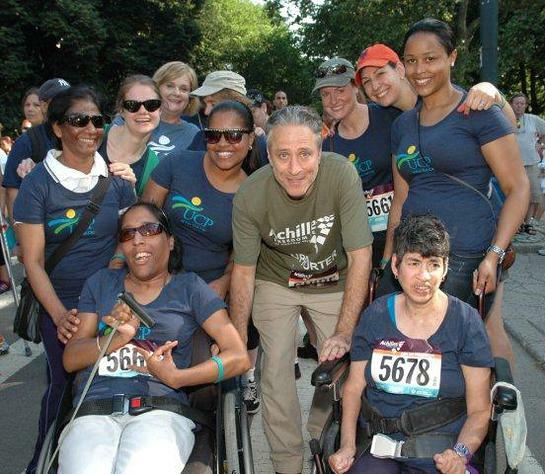 Team UCP – representing United Cerebral Palsy of New York City – participated in the 2011 Achilles Hope & Possibility Race in Central Park on Sunday (June 26) and was joined by Jon Stewart. Team UCP, the second largest team in the Achilles Hope & Possibility Race, included over 100 team members consisting of staff, supporters and Honored Racers, individuals with disabilities. Team UCP’s Honored Racers accounted for nearly 50% of the team and raced in a variety of capacities alongside athletes from all over the country. 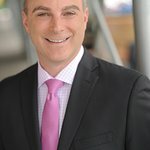 The team raised funds for UCP of NYC’s extensive programs serving over 14,000 children, adults and their families in the four Boroughs of Manhattan, Staten Island, Brooklyn and the Bronx. 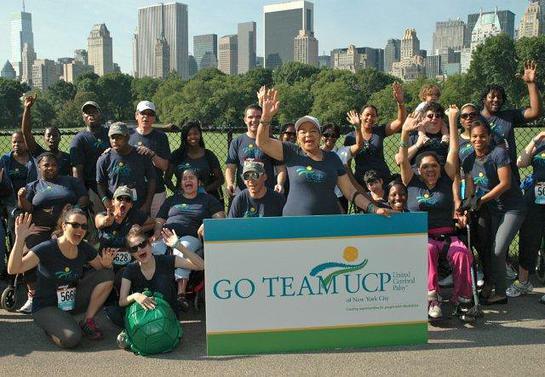 Team UCP at the 2011 Achilles Hope & Possibility Race in Central Park. The Achilles Hope & Possibility Race celebrates and inspires athletes of all abilities and ‘walks’ of life. Jon Stewart, host of The Daily Show with Jon Stewart, cheered on Team UCP and posed for photographs with the team offering enthusiastic support.